Google product managers have a great job. Full stop. An opportunity to launch products for billons of users, great compensation and perks and wide latitude to execute on the most important features to drive their products forward are all part of the gig. As a result, landing a Google PM role is extremely tough - but worth it. What is Google looking for in PM candidates? Ultimately, Google assesses whether you'll be able to perform the PM job by assessing you in five core categories: 1) product sense 2) technical chops 3) analytical chops 4) communication skills and 5) culture fit (e.g., "Googley-ness"). Product sense is critical. At the end of the day, the only person responsible for how the whole product "fits" together in the PM and that's why it's such as critical category during interviews. Launching new products/features: Can the candidate concieve of product ideas, features and improvements and credibly describe (e.g., draw rough wireframes) how to implement them? Setting a product vision: Can the candidate articulate how this product would evolve in the future and how each feature he/she proposes would help acheive that vision? "The way that PMs like to assess product sense varies a lot - there is no one right way to do it, so you've got to be ready for anything. I have a friend who used to bring a bag of various products, ask someone to pull out a random product and then discuss the merits and faults of that product." Google is a famously technical company. Its two founders, Larry Page and Sergey Brin, were computer science PhDs (albeit dropouts) and they pride themselves on solving deep technical problems. While equally impressive companies like Facebook focus on "softer" products like social networking, Google has always distinguished itself on really tough technical problems like search. This technical DNA spills over into the criteria for their PM interviews, even though Google won't expect a PM to write a single line of code on the job. Communicate effectively with engineering: Is the candidate technical enough to communicate effectively with his/her engineering team about technical issues? Understand technical architecture: Does the candidate understand how modern software and web applications work? Can they explain how the critical pieces fit together? Understand product tradeoffs: Is the candidate technically fluent enough to understand the core product implications of technical decisions? Google sits on the world's largest treasure chest of data. It follows that PMs at Google are expected to use a data-driven decision process to inform and guide product decisions on a regular basis. Marissa Mayer, a former Google PM who founded the APM program, infamously tested 42 different shades of blue to see which color drove the highest click-through rates. Given this analytical bent, Google interviewers will probe to make sure that PM candidates possess the necessary analytical toolkit to effectively wrangle massive amounts of data, analyze it and present their insights. Analyzing features: Can the candidate articulate the data they'd need to analyze user behavior and feature performance and run the correct analysis? Building estimates: Is the candidate capable of building directionally accurate estimates for things like feature usage, market adoption, etc.? Measuring success: Can the candidate define how'd they measure success for feature(s) / product(s) and which metrics would be critical to track? Google requires that its PMs have strong communication skills. Why? Well, even if a product management candidate is excellent from a technical, analytical and product sense perspective, if they can't communicate well, their ability to build and ship products will be dead on arrival. This means that PM candidates must be competent at communicating up and down (from executives to individual contributors) and across (from customer support reps to software engineers) the management stack. At Google, communication skills are the lynchpin that force multiplies a PMs other skills and helps him/her manage products successfully. Structured: Does the candidate structure his/her communication so it's easy to follow and understand? Clarity: Is the candidate capable of taking complicated concepts and explaining them simply? Varying communication: Can the candidate tailor their communication appropriately for the audience they're speaking to (e.g., executives versus customer support reps). Google has a unique culture and internally its referred to as "Googley-ness." Like all cultures, it's tough to define but, all things equal, Google has a bias for hiring "athletes," who are multi-talented folks that can contribute in a variety of ways, have a strong vision for the future and maintain humility (despite impressive achievements). Humble: Does the candidate have a balanced sense of themselves? Do they understand their own strengths and weaknesses and how others perceive them? Dynamic: Is the candidate determined to make an impact and will he/she break through barriers to make it happen? Forward thinking: Does the candidate have innovative, exciting, meaningful ideas for what the future looks like? "As a PM, you are the custodian of the product and you help ensure the right decisions get made - but it's not glamorous. The better you are at taking blame and deflecting credit, the more success you'll have in the role." "Practice: Everyone gets better with practice. Practice your interview answers - out loud - until you can tell each story clearly and concisely." When prepping for interviews, the rubber has to meet the road. Don't put off sitting down and drilling yourself on likely questions - across the all the skill types likely to be tested: analytics, technical, strategy, product design and culture fit. There are a ton of ways to do this. You could ask a friend to quiz you. You could use Google products like Gmail, Docs, Photos, Search, etc. and make up sample questions for yourself. Or you could use something like RocketBlocks PM prep to work through sample PM questions and answers (with embedded concept reviews). Regardless of the method, don't go into the interview cold turkey. To kick start your prep, here are a handful of sample questions. What are three key ways you could improve Gmail? What's the biggest pain you have with Google Docs? How would you fix it? How would you design a new Google to-do list app? Explain how the internet works: what happens when you type a URL into your browser? Imagine you're a PM on Gmail and you decide to launch a new "schedule an email" for sending feature. What parts of the Gmail tech stack would this feature require you to touch? Estimate how many Gmail messages are sent per day. If Google Play store downloads were down 4.5% WoW, how would you investigate that dip? How would you determine if a new Google Search feature launch was successful? How would you explain a critical system outage on your product to the director of product who leads your group? How would you communicate that same issue to the director of customer support for your product? Heads up! Remember that regardless of question, your communication skills are being assessed and evaluated in every question you answer. Google products are ubiquitous. There is a good chance that if you're reading this you likely used Google search to find it or a friend emailed it to your Gmail account. Warning! Don't delude yourself into thinking that usage equals thinking deeply about the products, features and business. If you're interviewing for a PM position at Google, devote time to thinking about this. One helpful helpful exercise here is to consider how Google thinks of itself as a company. To do so, start by thinking about the overall Google organization (technically Alphabet, Inc.). Google, which is technically part of the Alphabet, Inc. holding company, is a massive organization. 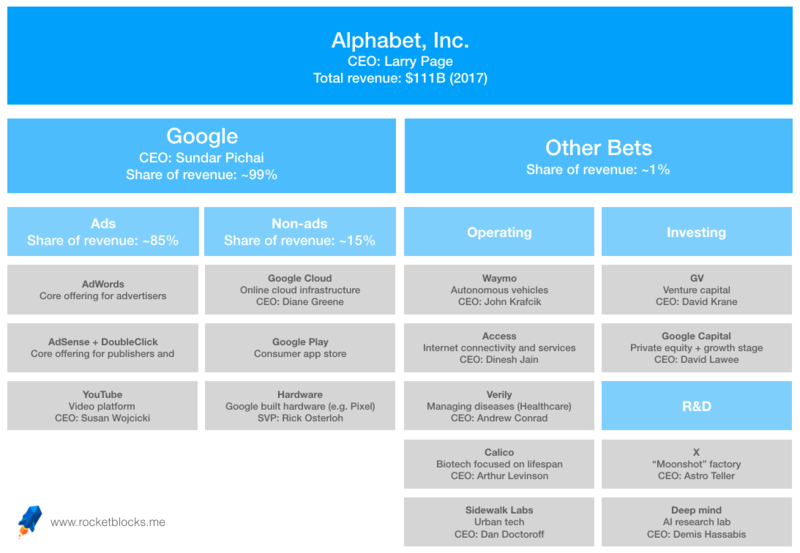 Google is still the "workhorse" of Alphabet in terms of revenue (99%) and Google itself is still driven predominantly by ads (85%). Alphabet has used its ad revenue work horse to fund a staggering amount of iniatives: from lifespan extention (Calico) to autonomous vehicles. Every company has a product philosophy and for decades, Google's overriding product philosophy has been "Put the user first and all else will follow." Executives mention it publicly and it repeatedly is mentioned in company strategy meetings and all hands meetings like Google's company TGIF meetings. That phrase helps explain Google's dominant position today - by building incredible products and giving most of them to consumers for free they've earned the loyalty and data of many users which now gives them a leg up building and distributing new products. Another overriding product dictum is "speed is a feature." Google has earned billions of dollars, literally, by shaving micro-seconds off of time it takes to deliver search results to a user. That insight and payoff has been baked into product culture. 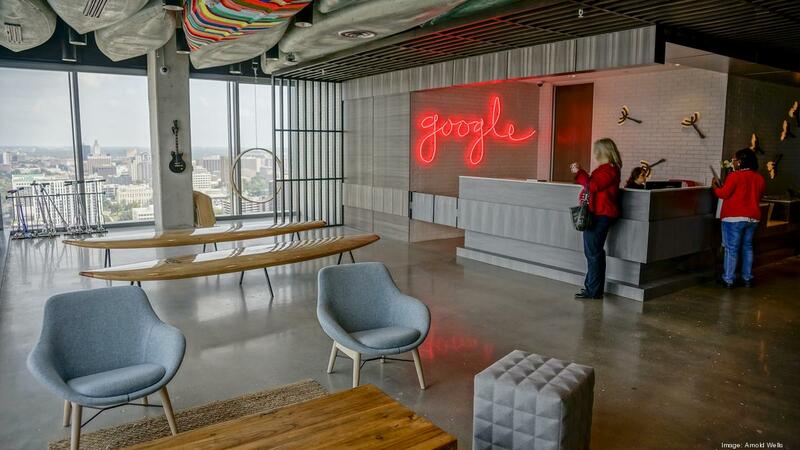 Google executives push not only for speedy products but for teams themselves to execute fast. Like everything, there are downsides and one criticism is that Google's fetishism of speed has led it to launch many half-baked products and complicate its offerings for consumers and employees (e.g., how many chat applications does Google have now??). Finally, for analysis on Google's overarching strategy, Ben Thompson's Stratechery has the best, in-depth coverage. Finally, take the time to learn more about the scale that Google's operates at. While you shouldn't worry about memorizing numbers, it's very helpful (especially in analytical exercises) to have a ballpark sense of key metrics and facts about the company (e.g., revenue, user numbers, key products). To help, we've put together a Google data pack here. In conclusion, if you're preparing for a product manager interview at Google, you'll want to make sure you prepare carefully for the five key areas they'll test you: 1) product sense 2) technical chops 3) analytical skills 4) communication ability and 5) culture fit. In addition to making sure your skills are top-notch, do your research on the company and its products. While you obviously don't need detailed knowledge on all Google's products (that'd be crazy), having a well-formed perpsective on some of your favorite products, how they could be improved and what Google launch in the future is important!